"Staff is helpful and room is nice." Have a question for Ascott Raffles Place Singapore? "Nice place , near MRT , big and clean room." "The place is good for weekend get away." "The overall experience is superb." 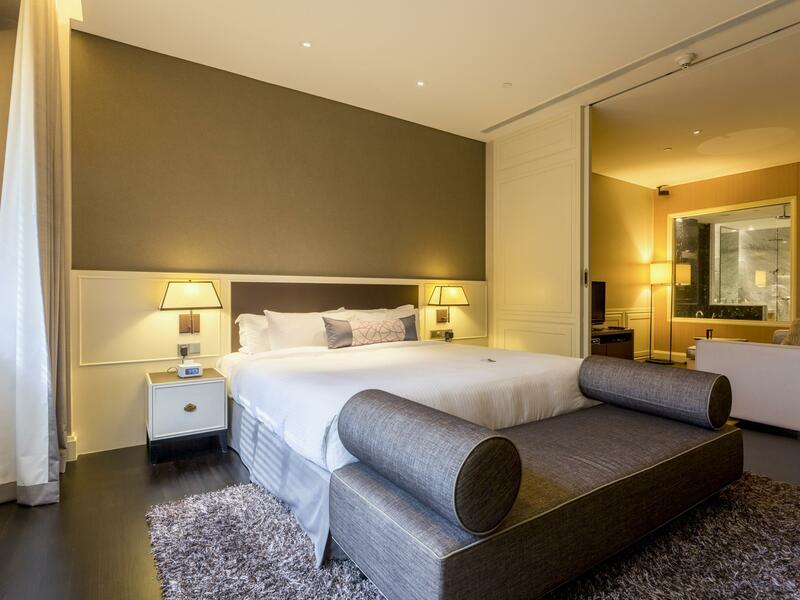 Treat yourself with a night at the relaxing and luxurious the Ascott Raffles Place Singapore. The rooms here overlook the city, giving you a glimpse of the busy city streets. This property is near Ong Shunmugam, Lau Pa Sat Festival Market, Carl & Oak Shoe Shop, Downtown Singapore, and True Yoga. It offers family rooms, giving you space to spend time together during your stay. Equipped with a kids club, it offers parents a fun-filled and secure childcare resource. 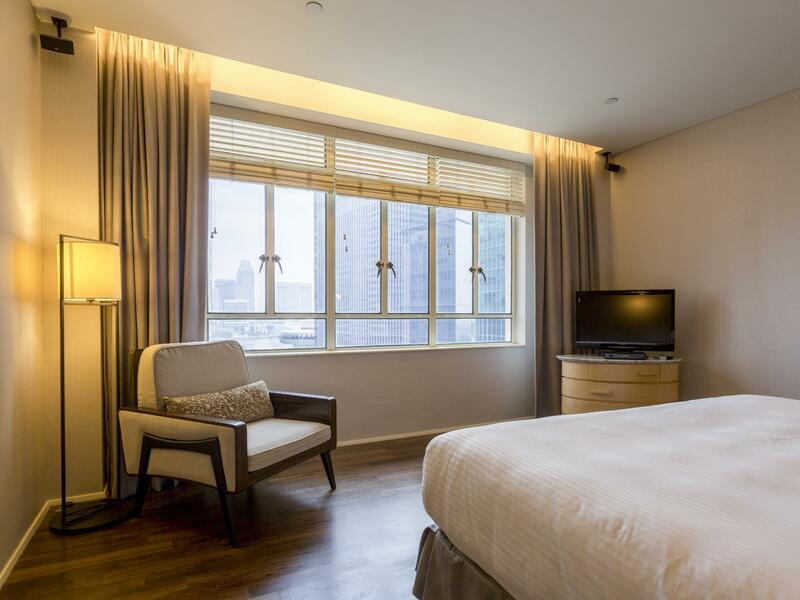 The Ascott Raffles Place Singapore has numerous convenient features, such as safety deposit boxes, a laundromat, a smoking area, and a currency exchange. It has a fitness center, a spa, and an outdoor swimming pool, among other great facilities. Whether it's a bar or room service, it has a variety of dining and snacking options. From dry cleaning services to luggage storage, the Ascott Raffles Place Singapore provides a range of useful services for guests to utilize. There's free Wi-Fi available in all rooms, as well as Wi-Fi in common areas, ensuring that guests are able to contact their friends and family without splurging on foreign data charges. The Ascott Raffles Place Singapore provides around-the-clock front desk services, ensuring that there is always a member of staff on call to help you at all hours of the day or night. This property permits pets, saving you the hassle of finding someone to look after your pet while you're on vacation. The Ascott Raffles Place Singapore offers private and 24-hour check in and check out, allowing you to conveniently choose the service that best suits you. Raffles Place MRT Station is 180 m away and Telok Ayer MRT Station is 340 m away. The nearest airports are Changi International Airport (SIN)-Singapore and Hang Nadim Airport (BTH)-Indonesia, which are located 17.5 km and 33.7 km away. 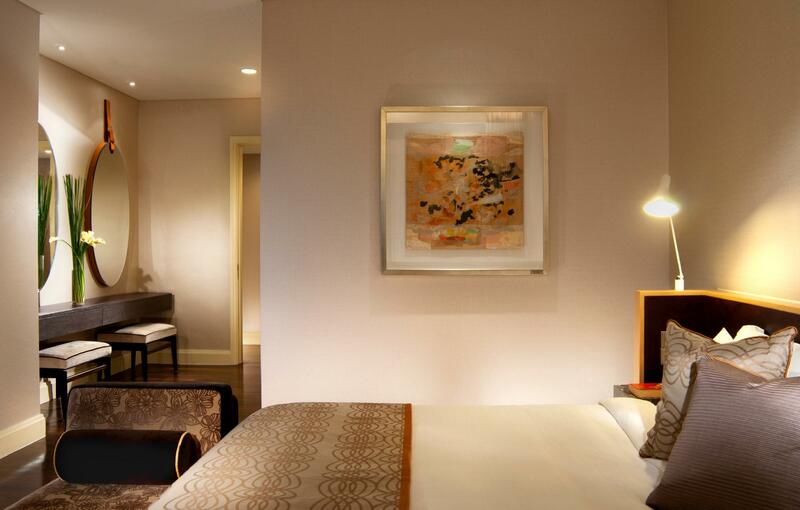 The Ascott Raffles Place Singapore offers check-in from 03:00 PM and check-out until 12:00 PM. "My children love this hotel"
Baby cot is available at no additional charge and is subject to availability. Housekeeping is done everyday except on Sundays and public holidays. love the spacious room, staff very nice, near MRT and great location. The suite was big and clean. Staff was really friendly and helpful with my.proposal on that day. Room was decorated with candles and rose pedals. I'm really thank you for the staff on the gound on the 18 Nov 2018 for all the help. We had a one night stopover but due to delays we arrived at 4am and only had a few hours to stay, the staff were very friendly, great location, stunning pool and nice and quiet for the couple of hours sleep we had. I enjoyed my stay and hope to stay again in the future although its just for a night. Was greeted by Irene at the Front Desk who was very warm, friendly and knowledgable. Room was spectacular. I love the entrance upon opening the door as it leads to the bedroom. Bedroom was neat, clean and spotless. Thank you Vani. Room smelled really nice. Bed is really comfy and pillows are soft. However, the BOSE speaker had a kind of buzzing sound so i had to off it. The knob/switch to the main bedroom lights was a bit faulty. Had to press it a couple of times before it switches off. It also took a while for the lights to off upon pressing the switch. Despite that, i had an enjoyable and comfortable stay at Ascott Raffles Place. Looking forward to another stay. 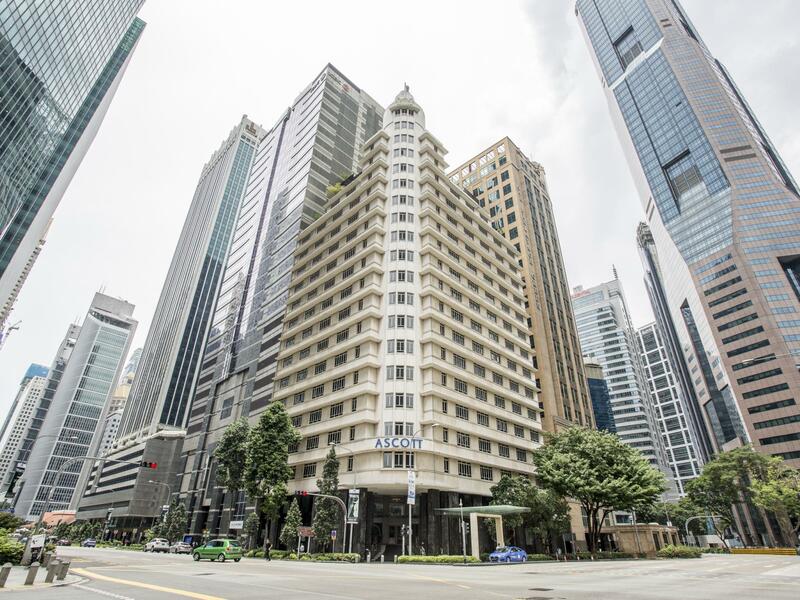 The location of Ascott Raffles Place is very good as it is very near to the Raffles Place MRT station and is also one block away from Lau Pa Sat, a very popular hawker center where you can find every dish that Singapore is famous for. There are also a lot of restaurants nearby. It is also walking distance to Merlion Park, and Singapore's museums. The rooms are very spacious and has all the comforts of home, including a small kitchen and a washing machine. The hotel staff are friendly and helpful. This is really a good alternative to the usual hotels. Hi, Long overdue review. Stayed here on 24th to 25th June 17. Everything was excellent. It was my fiance's birthday and the hotel staff particularly the Manager Melina went the extra mile to make it special by decorating the room with flower petals and gave u complimentary wine and chocolates. Hotel facility was top notch, no complaints at all. You cant go wrong with this place. Location was fantastic right in CBD. Would recommend this for all travelers. What stood out the most is the beach front ! The room are very clean and spacious with super king bed. I would recommend this place to my friends and relatives , I'll definitely come back to this hotel, No , other 5 star hotel in noosa dua can beat this value! The beds were huge! Very comfortable and able to fit my wife, myself and 9 yo. While there was also a sofa bed that fit my 11yo. Super comfortable to stay BUT if you drove and need a car park, they don't have a carpark coz its a heritage building. The nearest option is next door charging $2-$3 per hour with no daily capped rates. Aside from that, I will stay here again IF I am not driving. The hotel staff told us they will give us a call when the room is ready for check-in, but they didn't call us. We are really tired from the long flight travel, walked in again and asked them in face, they said its already ready hours ago. The service definitely needs to be improved. Location wise it is not too far away from the airport. There is a food court and seven eleven just within 3 minutes walk. There are many varieties of food in the food court. It is also very close to the Raffles MRT station. Finding taxi is not that difficult also. The room is spacious. It has kitchen corner, microwave, and a bathtub. The bed is very comfortable. There is also a sofa in the room. Internet is fast and free. We didn't try any of the other facilities or the breakfast. Overall, we enjoyed our stay here. We were upgraded to a one-bedroom unit, so it was a good deal for us in this extremely well-located facility. There's complimentary morning coffee and a 24 hour reception desk. It's truly 25 meters to the Raffles Place MRT. And Singapore is expensive. The alternative is Airbnb, but facilities are always questionable until you arrive. The room is fantastic, giving a very homely feel, with the accessibility to the kitchen wares to whip up simple meals. Though the building may look a tact old, but the room and facilities aren't so. The location is also good, as it is only a 10 minutes walk to marina bay sands and it is also near the train station and bus stop. The only disappointment is that we booked a King size bed but was given doubles bed. Regardless, would still love to make our stay here. The Ascott is a serviced apartment more than a hotel. The rooms are excellent, well organized and appointed, including kitchenette and laundry machine. There was a gym. No real restaurant in the hotel, but no more than a minute's walk to Raffles Place, where you can get anything.